I was just thinking the other day how the traditional school play should be modernized into the school movie. Schools should convert their theatrical stages into studios and teach not only the roles of running a live show but all the various roles involved in making a film. This would better prepare students for a whole host of career skills both inside and out of Entertainment. Schools should convert their theatrical stages into studios and teach not only the roles of running a live show but all the various roles involved in making a film. This would better prepare students for a whole host of career skills both inside and out of Entertainment. I've been teaching video for a decade and in the business for 40 years. I've seen your book on the shelf and never taken the time to pick it up until a few weeks ago. What a mistake I've made. 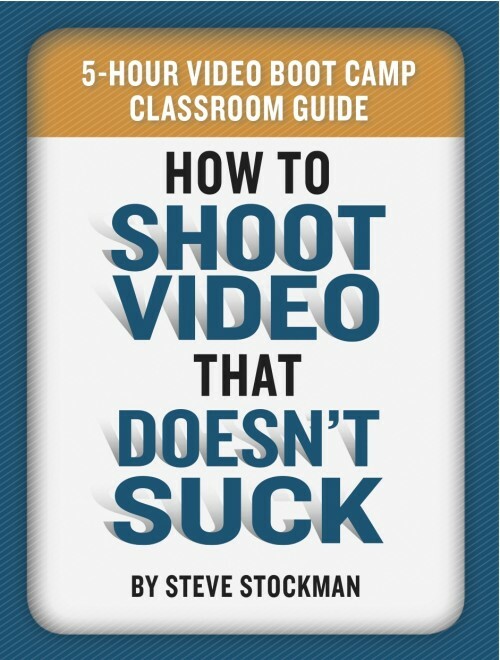 This is simply the best book on video production I've ever read. I first bought it on audio book and then ran out to the local book store where I was lucky enough to find one copy of the shelf. I bought it and told them to order more! Thanks for making my life easier as an instructor and better as a video producer. This will be my textbook for all future classes. Thanks, Ray! Glad you liked the book. Good luck with your classes!